GO San Francisco cards - unlimited FREE admissions to top attractions! Planning a San Francisco getaway? Every year around the first week of October, San Francisco celebrates Fleetweek. 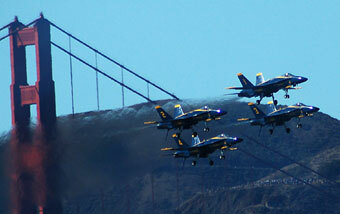 The week of festivities includes the parade of ships, ship tours, air show acrobatics, and of course, the Blue Angels. We took in an educational 90 minute tour of a large working wind farm. This is the only tour of a working wind farm available in the world. 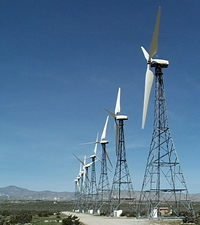 The windmill farm generates enough electricity to power the entire city of Palm Springs and some of the surrounding area.